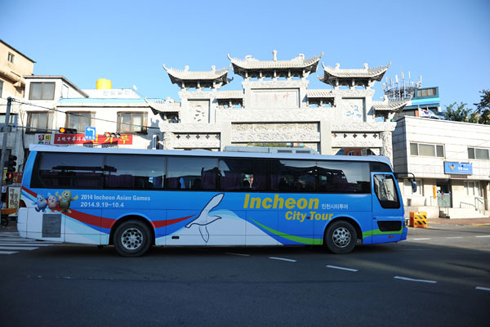 City bus tours of Incheon can be hard to beat for a relaxing day out that takes in the beach, historic towns and modern city landscape at the same time. 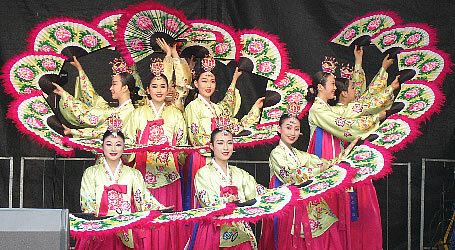 The city offers three themed routes starting from Incheon Station every morning for up to W10,000. The bus starts off by heading to Korea's first museum on immigration, which includes a guided tour. Unlike many bus tours, where boredom can set in as travelers end up spending so much time being ferried between stops, this is not the case as the driver continually regales travelers with witty explanations about the area as they appreciate the scenery outside. The next stop is Incheon Port, where travelers can enjoy breathtaking city views along with glimpses of the floodgate and inner harbor, not to mention Incheon Bridge, the longest in Korea. For lunch, visitors can enjoy various kinds of seafood at nearby Eulwang Beach. Meals are not included in the package. The final destination is the observatory at Incheon International Airport and local waterways, both newly added to the program. Adding to the tranquil scene, yachts float nonchalantly by and kids ride bicycles along the shore. "Sometimes I'm dying to take a break but I don't want to be bothered with all the hassle of planning, searching for places and making reservation. So tours like this are a real godsend," said one visitor. " I'd like to join another city bus tour next time." But somehow, I never would opt the bus tours' package. You cannot spend more time over your likes and unnecessarily visit unwanted places too! Wow nice Click I like Traveling around the World..